WiMAX is a standards-based technology enabling the delivery of last mile wireless broadband access as an alternative to cable and DSL. WiMAX will provide fixed, nomadic, and portable and, eventually, mobile wireless broadband connectivity without the need for directs line-of-sight with a base station. In a typical cell radius deployment of three to ten kilometers, WiMAX Forum CertifiedTM systems can be expected to deliver capacity of up to 40 Mbps per channel, for fixed and portable access applications. The business case for deploying Broadband Wireless Access (BWA) is getting stronger by the day. The initial capital investment in infrastructure is no longer prohibitively expensive and the pay-as-you-grow model makes BWA solutions a better economic proposition. Streamzone Solutions, through its strategic partnership with Airspan Networks Inc. offers its customers great flexibility in delivering broadband wireless access. 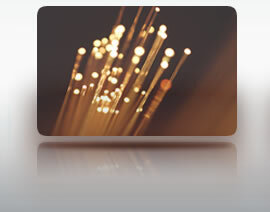 Our three most popular products in this range are the Flexnet and WIMAX Airspan. Airspan’ FLEXNET is a highly flexible outdoor 802.11a/b/g base station platform which can be configured for point to point, repeater and Hi-Fi Hotzone deployment. Built within a robust weatherproof enclosure FlexNET withstand harsh environmental conditions and temperature fluctuations. 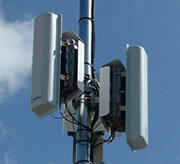 These are normally associated with remote outdoor backhaul and repeater as well as urban Wi-Fi Hotzone access locations. 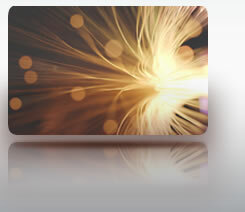 It provides network-wide seamless Wi-Fi handoff between access locations within Wi-Fi Hotzone. 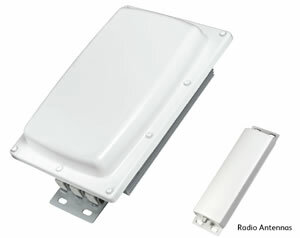 FlexNET houses up to two radio transceiver plus a single integrated 5 GHz directional antenna. External 2.4 GHz or 5GHz can be connected for configuration requiring dual radio units and Wi-Fi Hotzone application.